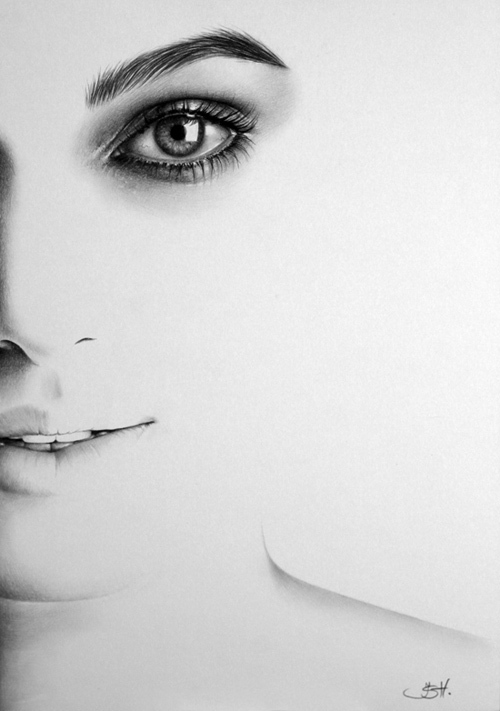 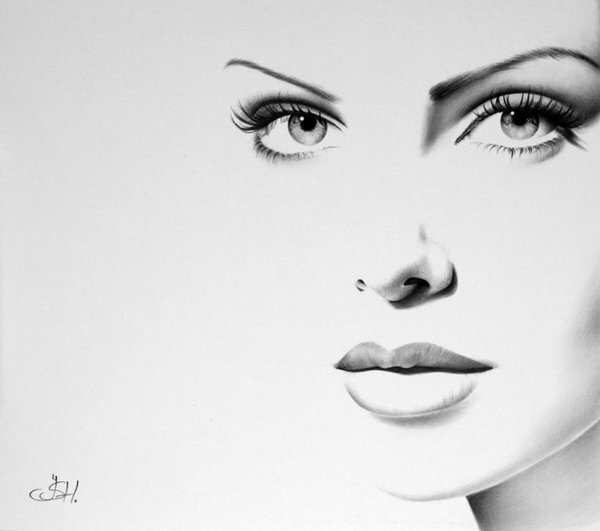 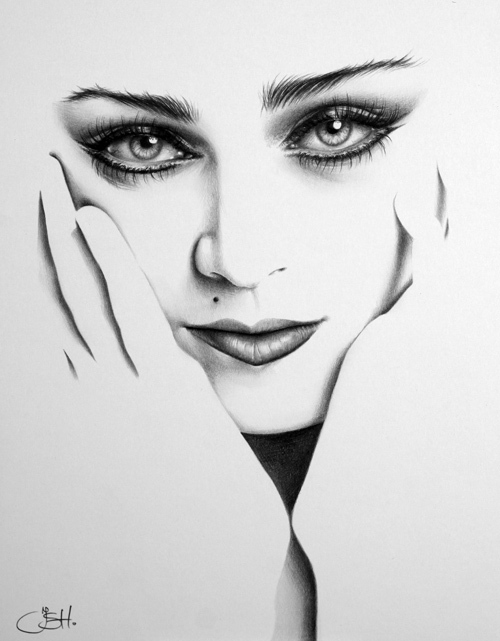 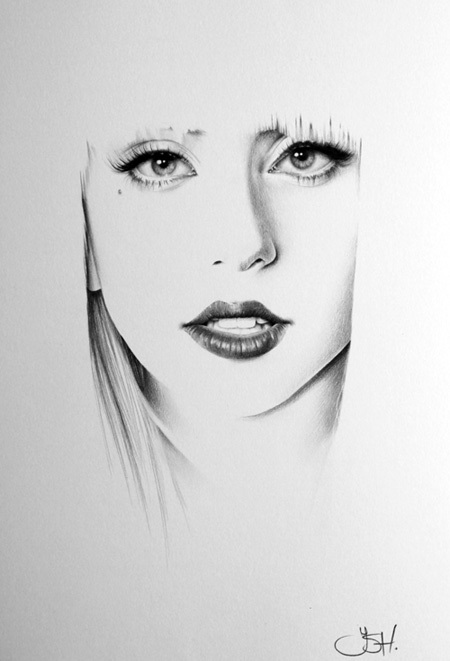 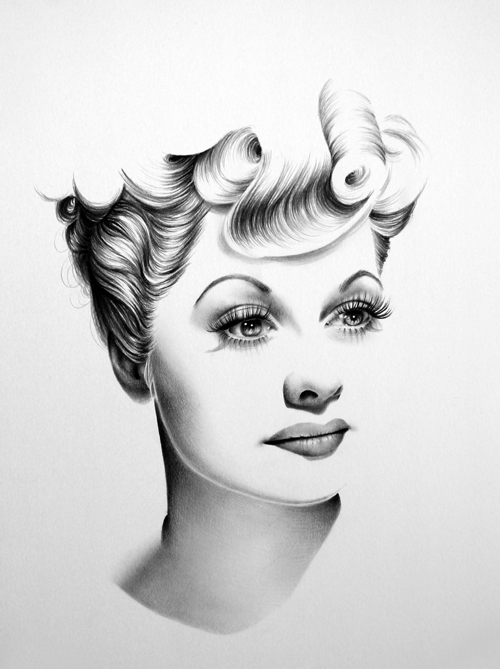 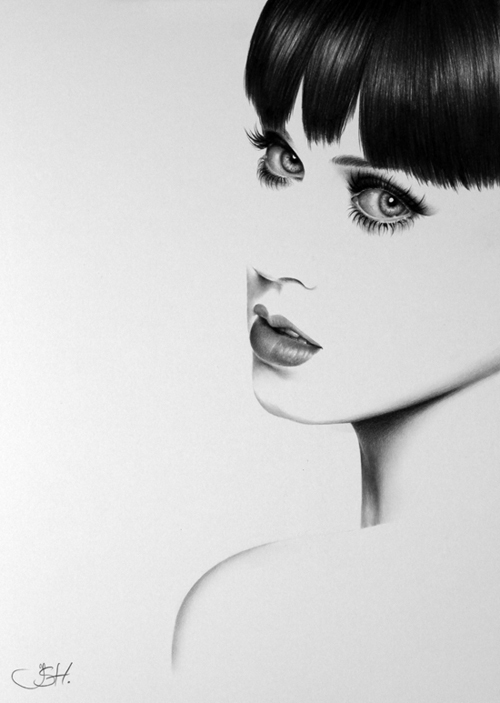 UK-based artist Ileana Hunter has a beautiful on-going portrait series of female celebrities created using charcoal. 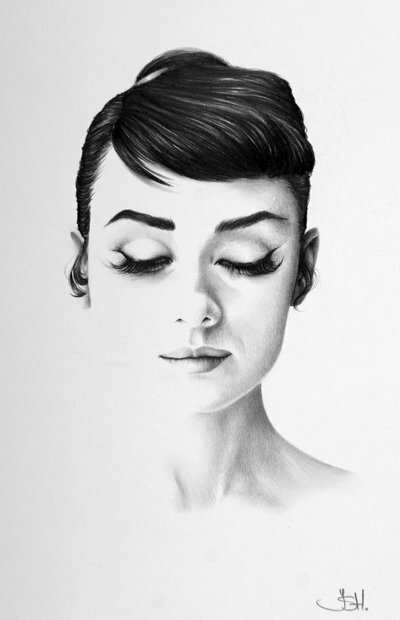 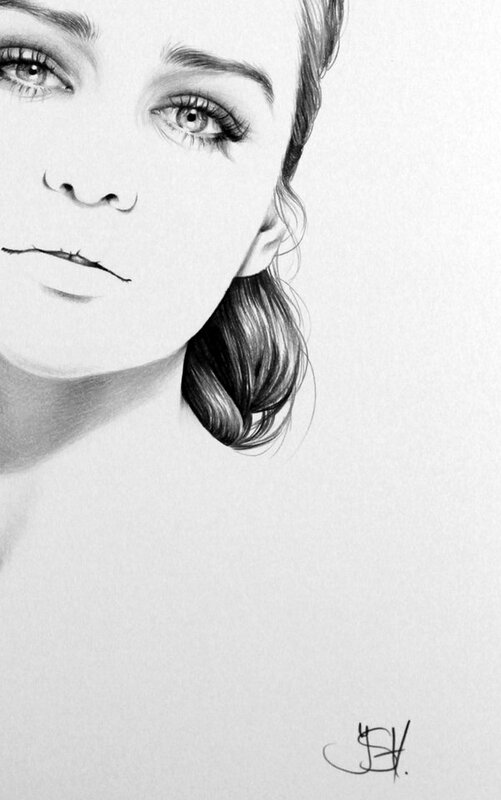 Hunter gives her monochromatic drawings of familiar film stars like Audrey Hepburn, Charlize Theron, and Keira Knightley a minimalist twist by erasing part of the portraits, leaving only the most important aspects of their faces intact and drawing attention to their eyes and mouths. 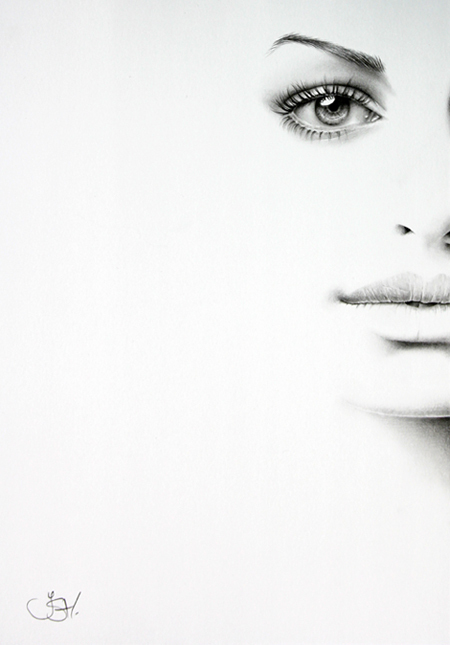 The result is a collection of gorgeous and mesmerizing images that contain an extraordinary depth in their simplicity. 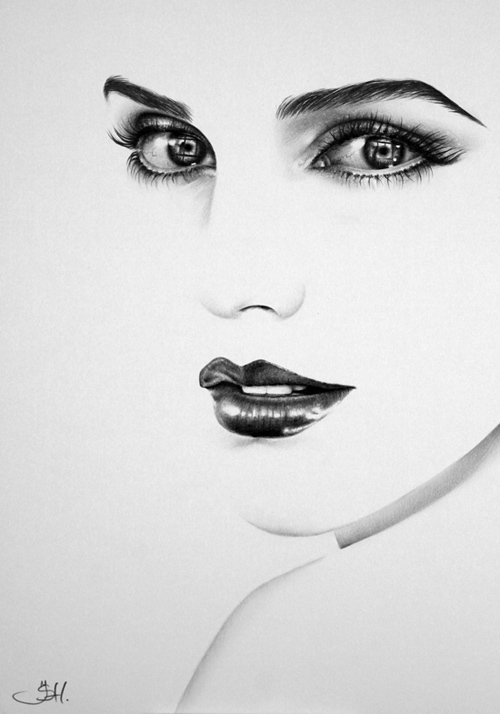 Scroll down to view more of her lovely portraits.